If you caught up with my posts the other day you’ll have already seen this in my little Factory Shop Haul. I originally picked this up as it was £6 (the RRP was £16!) and I thought it might be worth giving a try. In this kit you get- a moisture boosting mask, a hot cloth cleanser, a muslin cloth, an exfoliating face wash, an eye gel and a moisturiser (all mini sizes). The first thing I really like about this is the packaging. 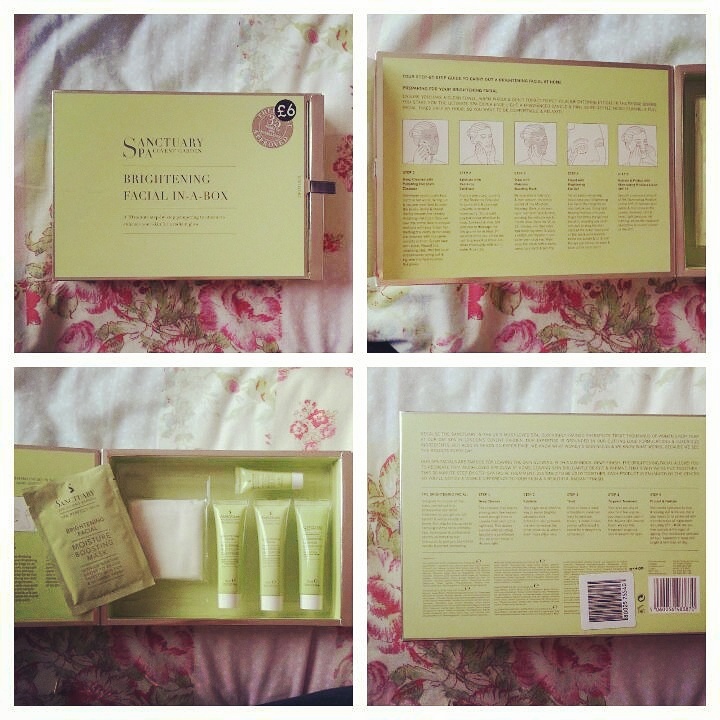 On the inside of the box there’s simple instructions on how to use the products and in what order. The instructions say the facial should take around 30 minutes. I’ve tried this twice now and I really like it as a set. The products themselves are nothing really amazing but they are nice to use, feel really refreshing and don’t irritate the skin in any way. I haven’t seen huge results but my skin did feel better, and you don’t need a lot of product so I think these will last me quite a while as I’m only using them once a week. Has anybody else ever tried this or something similar? Thoughts? See if you can find them in a factory shop. Such a good price!